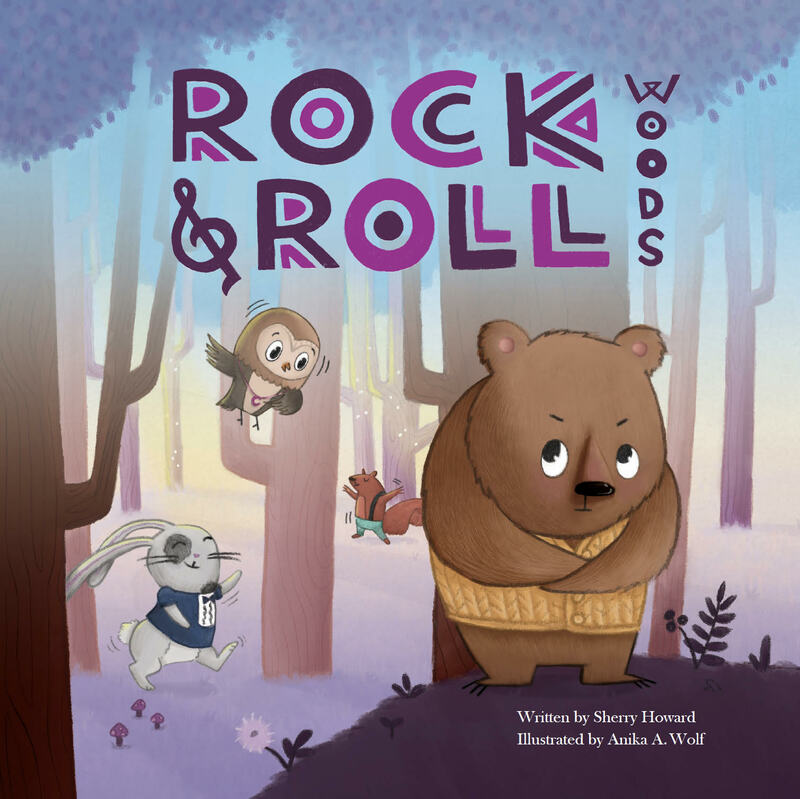 Today, I’m pleased to interview Inked Voices member and author Sherry Howard about her debut picture book Rock & Roll Woods, just released at the end of September with Clear Fork Publishing. Sherry talks about her inspiration for the book, her process, and how she manages multiple projects (in different formats, too!). Welcome, Sherry! Brooke McIntyre: Congratulations on your debut Rock and Roll Woods! What is the story about? 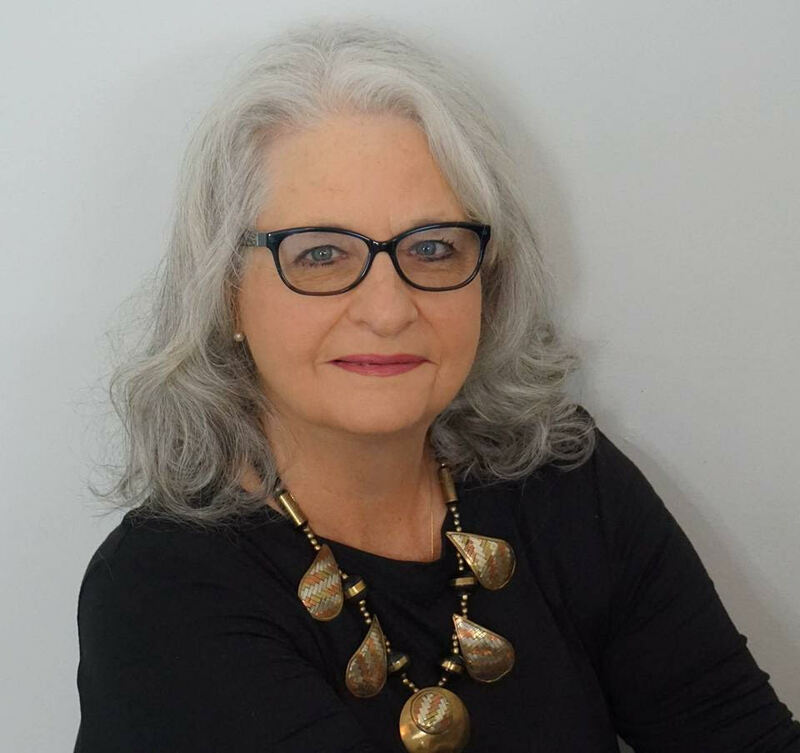 Sherry Howard: Thanks, Brooke! I’m so happy to be here! Rock and Roll Woods is about a grumpy bear who doesn’t like change. This is the blurb: Kuda is a bit of a grump who doesn’t like change. So when he wakes up to new neighbors and loud, strange noises in his woods, he is not happy. Will his desire to be with his friends overcome his objections to loud sounds? And might Kuda’s courage help him discover that new things and rock and roll music can be pretty great? Featuring helpful back matter about Sensory Integration and insider jokes for parents with autistic kids. BM: Where did the story idea come from and how did you know it was an idea you wanted to pursue? What aspects of writing Kuda’s story were most challenging, and how did you work through those areas? SH: I can remember vividly when I started work on Kuda, not the exact date but the scene. My sidekick Kamora, at the time eight, and I were discussing my picture books in progress in fall 2016. “What would you like to write about?” I asked my collaborator. “In the woods. And you have to call him Kuda.” Kamora’s bearded dragon wouldn’t mind sharing his name. The most challenging part of the story was finding the right way to create noise in the woods, and finding the onomatopoeia to express it. My whole family brainstormed, trying to find something more creative than thunder. Once we settled on drums, the story took off. When I first sent “Kuda’s Band” to a critique partner, I told her it was a granddaughter request and I wasn’t sure “it has any legs.” Her enthusiastic response encouraged me to keep working with it. And in some indescribable way it felt right. BM: Tell us about the book’s path to publication What parts were most exciting? What parts were most difficult? Was any aspect surprising? What did you learn that will better prepare you for your next project? SH: Unlike many of my manuscripts that I revise for years, ROCK AND ROLL WOODS was almost exactly two years from invention to holding the proof in my hands. Honestly, it felt much longer than that. The down times in between steps are hard to survive unless you stay busy with other projects. I only queried this manuscript a few times. When one agent informed me it was too commercial for his tastes, I chose to be encouraged by that. In the meantime, I’d sent a different manuscript to Callie Metler-Smith at Clear Fork in fall of 2016, and she didn’t take that one, but enjoyed my writing. So, I sent ROCK AND ROLL WOODS in late January 2017 when she invited me to send more. By then I’d already grown to love Callie—we bonded over shared experiences with autism. I nudged Callie in February to clarify that she wasn’t interested. Only, it turned out that she was interested if I’d be willing to make the ending more explicit, and by March she’d committed, and we signed the contract. Then you wait. 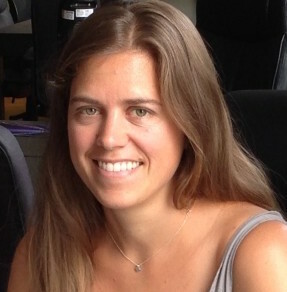 An exciting moment happened when I learned the fabulous Mira Reisberg would be art director AND editor. There was a flurry of activity when she and I worked on tweaking words once the art was in place. One of the most exciting moments in the journey was seeing Kuda brought to life by the brilliant illustrator, Anika A. Wolf. In August 2017 I saw her vision of Kuda on the drums! Only one piece of art, and no direct contact between us. That art astonished and delighted me. Kuda on the drums has inspired me to keep writing, hanging on my inspiration board ever since. If someone can use my words to bring something that adorable to life, then I’m happy to write. Callie, Mira, and Anika focused much attention to detail, including a string of over thirty emails, many of which focused on one facial expression. And, at that point, Anika and I were in the loop together. Every single word, every single placement, every single expression was evaluated! From an email in March 2017 with “lol, then you have yourself a publisher,” until September 2018, when I got my electronic ARC, there were bursts of activity and long periods of silence. This manuscript had a short journey in publishing terms. From birth to holding it in my hands was less than two years, almost unheard of. That doesn’t take into account the many manuscripts where I did hundreds of revisions, learning the process for a successful picture book. I think going through the entire process with an outstanding team taught me a lot about the marriage of words to art, seeking perfection, and collaboration at its best. BM: You write for children and adults, including picture books, poetry, fiction, and nonfiction. What draws you to these various kinds of writing? How do you balance multiple projects? SH: I never considered that I had attention problems, but I’ve been a curious geek all of my life. I love research. I love playing with form for the written word. I love a challenge. I’m happy when something I write is published, but I seldom set out with the goal of publication in mind. An idea tickles my brain, and I have to explore and write. I work best when I have multiple projects. My last job was principal of a middle school with 1000 kids in a huge, diverse school system. I learned to juggle a lot of balls and keep them in the air. I think that mindset carried over. I have a system for keeping track of manuscripts, and have dedicated times for specific projects. For instance, my last few months have been spent revising a middle grade novel based on an agent’s feedback. His ideas were great, and I devoted myself to that as a priority. At the same time, I had work-for-hire due, and a book launch to plan. I stayed busy. I kept task calendars and spreadsheets. BM: Tell us a bit about your writing process. What have you found works well for you? SH: I have notebooks overflowing with scribbled notes. I have more ideas than I can ever write. I get something on paper, and then choose one project at a time to concentrate on, maybe for a day, maybe for several months. For picture books, I work with a couple of wonderful critique groups. For novels, I have others. With novels, I’m a loose planner, and I love to skip around with first draft writing. I’ve been blessed to be surrounded by kind, talented writers who are willing to brainstorm any time. The most important part of my development is constant study through classes, mentor texts, and professional reading. And critique, both giving it and getting it. My process involves my whole family. I torture them until they cooperate. One of my critique partners is on speed dial, and she’s a wonderful sounding board. I went from zero contracts to ten in about a year, including work-for-hire. So far, I’m juggling it all by prioritizing and using all of my brilliant resources. The boom in contracts came from the momentum of constantly looking for opportunities. I saw an opportunity with Clear Fork, and I have three contracts with them, a sequel to Rock and Roll Woods, and a chapter book which will likely result in a sequel, but contracts aren’t signed for that. And, the work-for-hire happened because I saw a call for writers somewhere and applied. I did one, and then got a whole series for the next round. When you sign a work-for-hire contract, you’re bound by confidentiality, so I can’t say much about that. I’m also juggling a revise and re-submit for a middle grade novel and a book launch in all of this! SH: I’m pretty active online. People can find me on Inked Voices. Also at my website SherryHoward.org and on Facebook, Twitter, and Instagram. BM: Thanks for being here with us today, Sherry! I am delighted for your news and I loved hearing about how you’re managing all of your projects. For readers who are interested in the book, check it out on Amazon or your preferred bookseller.